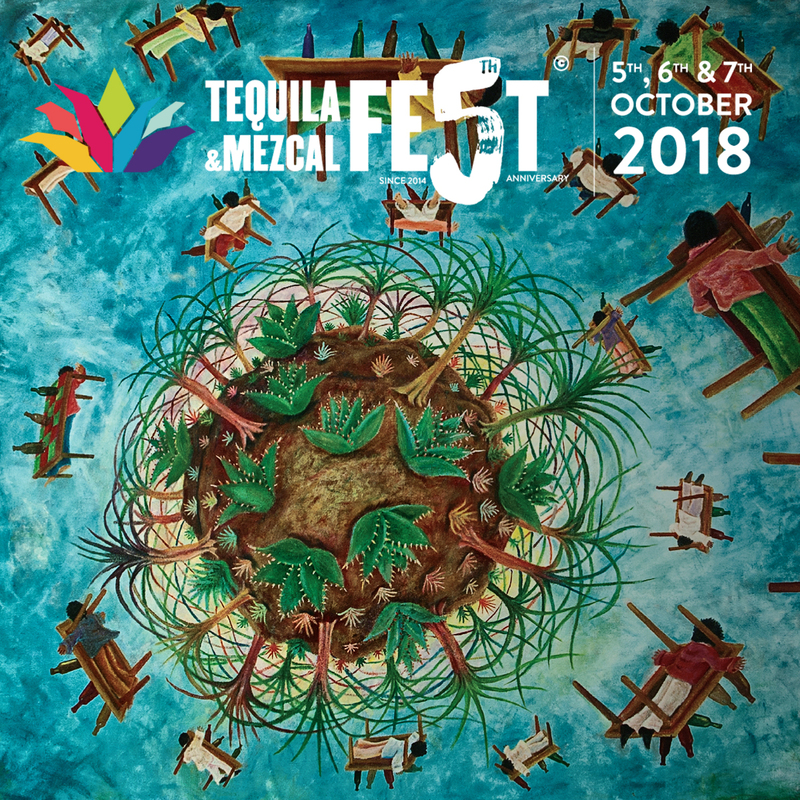 The 5th annual Tequila and Mezcal Fest is set to kick off at its brand new venue, the Bargehouse at Oxo Tower Wharf on the 5th, 6th, and 7th of October. You can expect some great seminars, experience some great new food menus, and sample perhaps the largest variety of agave spirits to ever be shared on UK shores. Three floors at the Bargehouse will give you plenty of different rooms to explore. And yes, did you notice for the first time you can enjoy Tequila and Mezcal Fest on Friday evening after work? Five years ago, Eduardo Gomez was working in the UK drinks industry and he noticed the lack of knowledge about tequila. Most people had no respect for any agave spirit. Thus, he created Tequila and Mezcal Fest. A festival unlike any other in Europe that had two objectives: 1. Educate the trade and consumers of the origins of tequila and mezcal and how to drink it with respect, and 2. To promote both categories and help position them at the levels of good whiskys. Patron Tequila is once again the main sponsor for Tequila and Mezcal Fest. Patron’s Perfectionists Cocktail Bar is where you’ll be able to try the new Patron and tonic mix. Patron teamed up with Fever-Tree to create a new Patron X Fever-Tree citrus tonic water. You’ll also get to meet Patron Perfectionist’s UK 2017 winner, Greg Almeida. I’m sure he’ll be able to mix something special up for you. The 5th annual Tequila and Mezcal Fest wouldn’t be the same if you didn’t have some new brands to discover. G4 Tequila and Tequila Terralta are lesser known tequila here in the UK, but both have a strong agave aficionado following. Produced by Felipe Camarena in the highlands of Jalisco, both brands have a reputation for outstanding flavour. Also look for Avion and Pancho Datos. New mezcales’ to try include Telegram, Sin Piedad, Lluvia de Maguey and Mezcaloteca, plus many others. To see all of the brands that you’ll be able to taste, check out the links below. You say you want some Mexican food to pair up with your tequila? Tequila and Mezcal Fest have three great restaurants serving up fine Mexican Fare for you, Café Pacifico, Peyotito, and Taqueria. Street tacos, tostadas and tamales will all be on the menus, so you shouldn’t have any trouble finding some great comida. Perhaps you’re looking for more creative ways to mix your agave spirit. This year will see four additional sponsored bars to try out all kinds of new cocktails. MNKY HSE teams up with Don Julio and Casamigos, Ella Canta mixes things up with 1800 and Maestro Dobel, Chiringuito rolls out Tequila Fortaleza, Arette, Union Mezcal and Gem&Bolt Mezcal concoctions, while Barrio Bar returns with El Jimador and Ancho Reyes. There will be plenty of cocktails to enjoy at this year’s festival. If you’re seeking out some of the culture of Mexico, you’ll be able to enjoy plenty. House of Mexico will have a unique selection of art installations on each floor. If you want to take a seat at the cinema, Raindance Film Festival will be showcasing some short Mexican films alongside live mariachis and folklorico dancers.There is plenty more to Mexico than just agave spirits. So if you haven’t bought your tickets to the 5th annual Tequila and Mezcal Fest, what are you waiting for? Come join us for some agave fueled adventures and share the culture and history of Mexico. Proceeds from this year’s Tequila and Mezcal Fest will be going to Mision Mexico UK, a great charity that supports abused, neglected or orphaned children. So you can drink to a good cause at the same time. Hasta pronto!